A swing arm wall light with refined looks. Designed to provide flexible lighting, this attractive wall light is made from polished chrome with a black fabric shade. Perfect for a bedroom, study or other living area, this light would work well in both contemporary and traditional interiors. 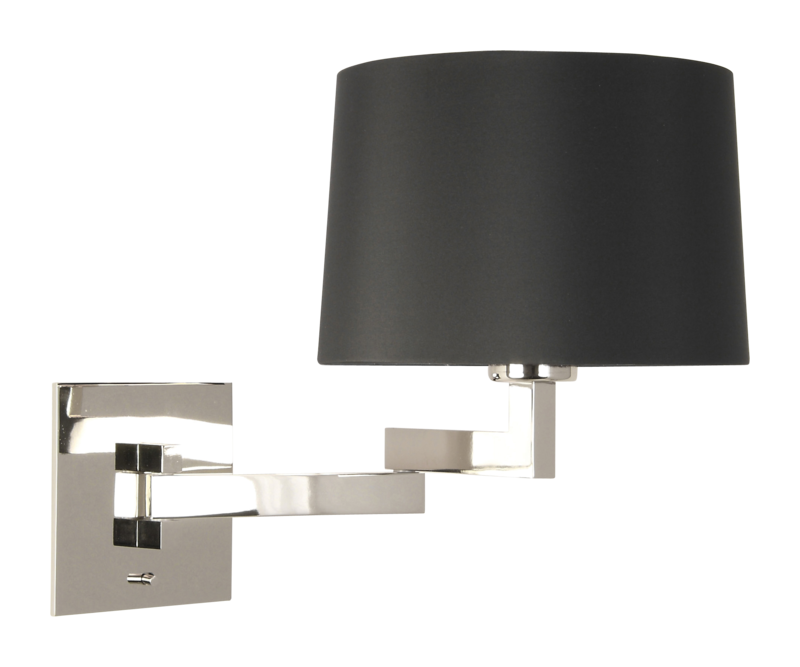 This swing arm wall light includes an integral toggle switch and requires a 60W E27 lamp. It is suitable for use in bathroom zone 3 and may be used in conjunction with a dimmer.